Mitchelstown’s Mark Keane has become the latest Irish player to make the move to Aussie Rules after Australian club Collingwood, confirmed they have signed the Cork footballer. Keane had been heavily linked with a move to Australia for some time and news of his recruitment to the Melbourne-based club was announced this week. 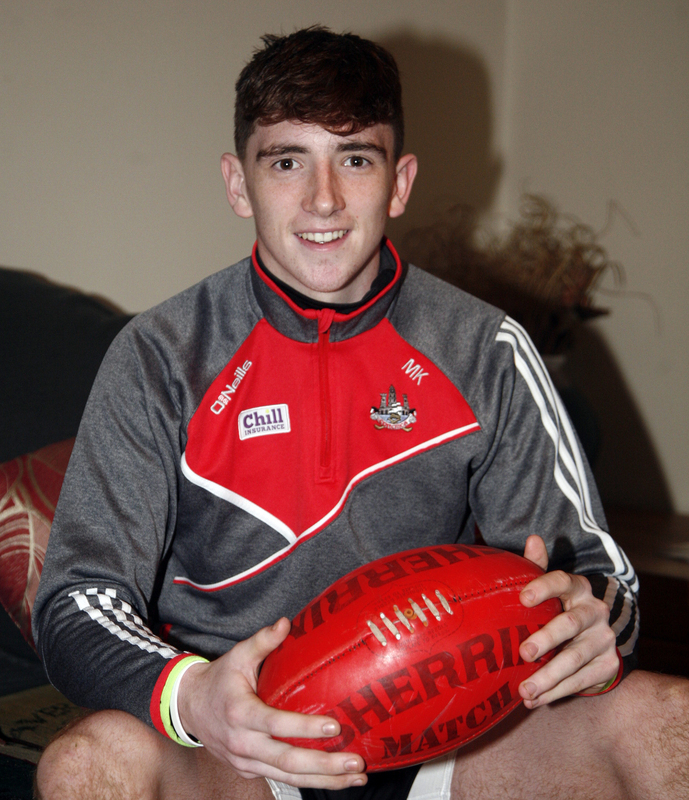 Derry’s Anton Tohill, the son of Derry All-Ireland winning great Anthony, will join Keane on the plane to Australia. Mitchelstown club man Keane was part of the Cork U20 side that contested this summer’s EirGrid Munster final against Kerry while Swatragh’s Tohill was part of his county’s U20 squad that claimed Ulster honours. The pair both attended an international AFL Academy in Florida last January and the AFL Combine that was held in UCD last December. Keane told The Avondhu that while he will no doubt miss playing for Mitchelstown and Ballygiblin, he is looking forward to the culture in Australia, learning the new game and meeting new people. At the recent AFL Draft Combine in Melbourne, Keane finished second in the goal kicking test. “Mark and Anton will really add to our developing key position depth,” said Collingwood national recruiting manager, Derek Hine. “They are different to each other in the manner in which they play. Anton has the makings of a tall utility who will be capable at both ends of the ground, with the potential to play minutes in the ruck. The duo will join the club next month ahead of the commencement of pre-season training before the 2019 campaign will start next March. Collingwood contested the AFL Grand Final this year, losing out 79-74 last month against West Coast Eagles.